Digital Rights Management (DRM) technology is used to restrict access control of copyrighted works (such as multimedia contents and software) and proprietary hardware from modification, usage, and distribution. So if you are looking for a one-stop and all-in-one streaming audio solution to Remove DRM Protection from audio files, including iTunes, Apple Music songs, and Audible audiobooks, then you are at right place, because today we are providing the working method to remove and convert DRM-ed audios and non-DRM audios, including MP3, FLAC, WAV, AAC etc. to any audio file format on Mac computers and laptops. Apple Music, Apple iTunes, M4P, Audible audiobooks AA, AAX to MP3, iTunes M4A, M4B, etc. M4A, M4P, M4B, M4R, M4A, MP3, MP2, WMA, MPA, AAC, MKA, AC3, OGG, RA, AIFF, RAM, APE, WAV, FLAC, AAX, AA, etc. How DRM Removal Mac Software Works? Due to the restriction of digital rights management (DRM) technology, Apple Music can only play songs and live streams on authorized devices and hardware. 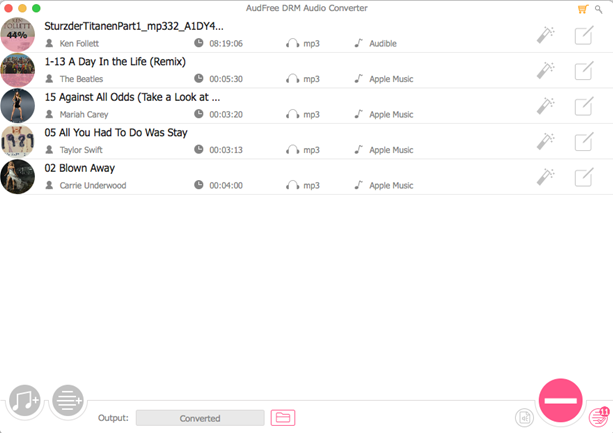 But after using the reliable Apple music converter for mac, users can professionally remove all kinds of DRM protection from Apple Music and iTunes songs permanently without losing audio quality and compromising on file formats. By doing this user can store all songs and music in the iTunes library for a lifetime and even access the audio files after the cancellation of Apple Music subscription. 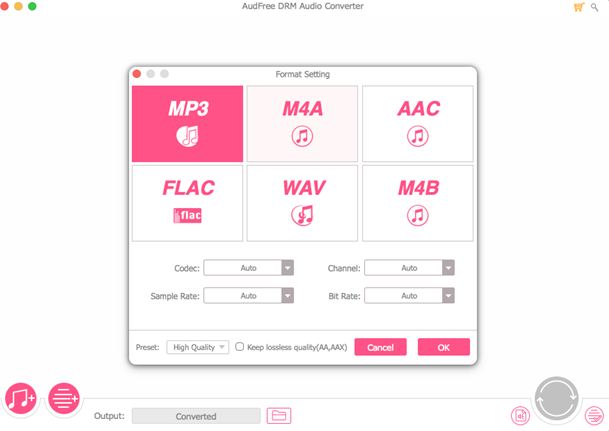 Not only this, if you are Audible Audiobooks user, then you can also get benefit by using this professional DRM removal tool and audiobook converter. There are lots of other features of this software through which you can also customize or keep ID3 tags on your music library. This intelligent DRM converter tool not only encode audio format, but it also has the ability to keep original ID3 tags, metadata details, album, cover, author, title, date, genre and other information to its ID tags editor, through which you can edit these details manually anytime. Not only this, you can also organize and personalized the primary audio parameters like channel, codec, sample rate, bit rate etc. easily. While converting or removing DRM-protected files, the software works with 30X super fast speed with 100% accuracy. It also allows users to remove DRM with the batch conversion option of up to hundreds of music, songs, and tracks. It also offers a built-in splitter, through which users can split long audios and chapters into short pieces or small clips. It also enables users to play and enjoy music on different offline music players, including iPhone, iPad, iPod, Zune etc. So what are you waiting for? 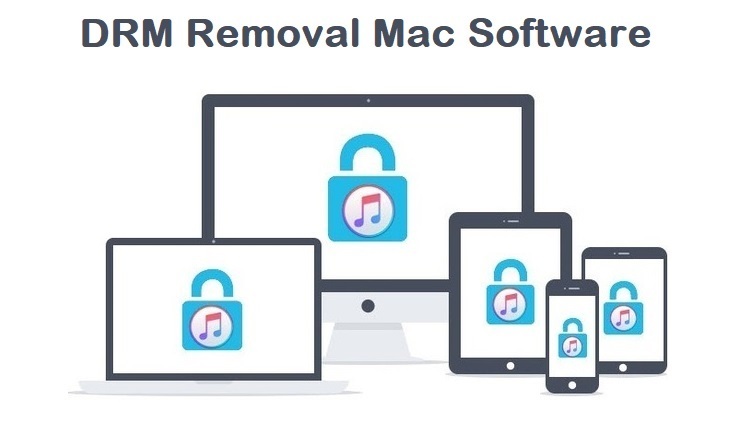 Just free download and install this best DRM Removal Mac Software on your system now to enjoy restriction-free music anytime anywhere. 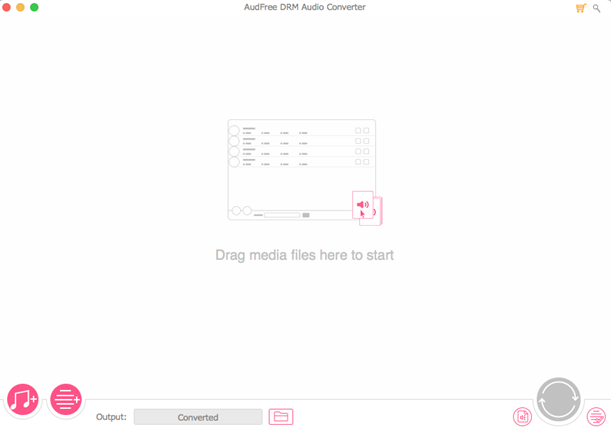 You can follow our step-by-step guide and tutorial to start using AudFree digital rights management removal tool and audio converter software on your Mac devices. Step # 1: After downloading the software, start it on your macOS machine. Step # 2: Add or import any Non-DRM or DRM-protected iTunes Songs, Apple Music, or Audible Audiobooks by click on "Add" button. Step # 3: Here you can edit audio output format and other audio preferences by selecting "Edit" "Format" or "Effects" buttons. Step # 4: Now click on "Convert" button to start converting or removing DRM from iTunes, Apple Music, and Audible Audiobooks file format.